Of course, a notorious winner like John Cena can preach about second place finishers being easily forgotten. The 15-time World Champion is accustomed to bringing home the WWE Championship belt and pinning other wrestling superstars like Randy Orton, Kevin Owens, and even legends like The Rock. When he's not in the ring using his finishing move, known as the "Attitude Adjustment," the fire-spitting Doctor of Thuganomics can be seen dominating the movie screen or releasing catchy rap songs. The pro wrestler often preaches his motto of "hustle, loyalty, respect" so it's easy to see why his intense fan base, "Cenation," has caught on so rapidly. He's a certified good guy so if you really can't see John Cena, then you probably arm't looking hard enough for him. 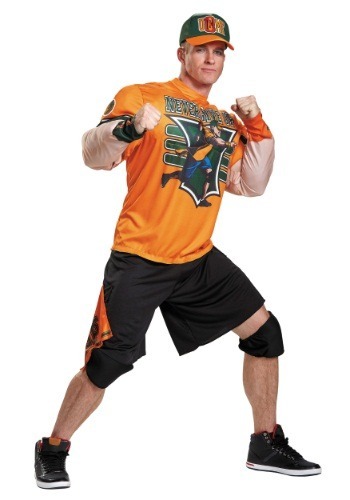 There's no need to hang out pumping iron in the gym, because this John Cena costume for plus size men will transform you into the wrestling superstar. 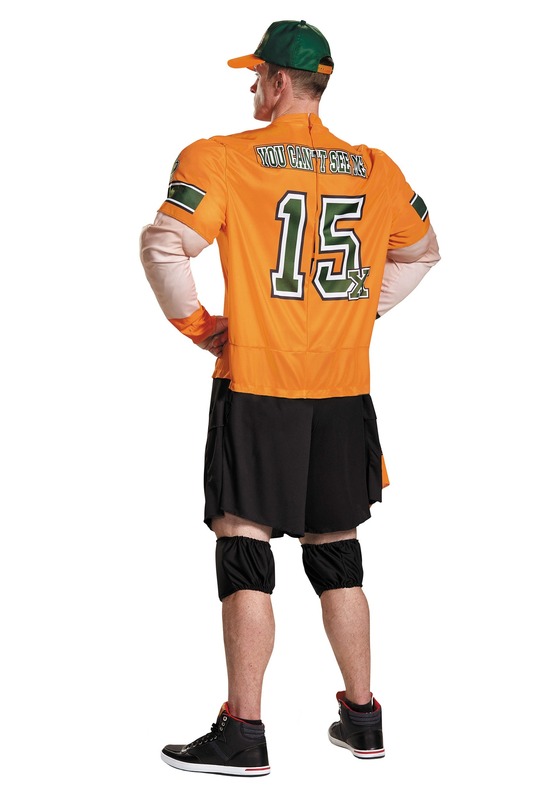 This costume comes with an inspirational t-shirt that says, "Never Give Up." A flesh color shirt with fake muscles comes attached to the "Never Give Up" tee, while the baseball cap reads another one of his major catchphrases, "U Can't C Me." The matching elastic waistband shorts and stretchy knee pads complete the sporty ensemble while also making you appear ready to demolish your opponent in the ring. You'll feel invincible once you don this officially licensed John Cena costume! Remember, if anybody decides to step out of line, then give them the Five Knuckle Shuffle and make them respect your hustle!